Another miserable day on Wall Street knocked 464 points off the Dow Jones Industrial average, bringing its losses since Friday to more than 1,700 points. The index is now down more than 10 percent for December, putting it on track for its worst monthly loss in almost a decade. The technology-heavy Nasdaq is now down almost 20 percent from the peak it reached in August. After steady gains through the spring and summer, stocks have fallen sharply in the fall as investors worry that global economic growth is cooling off. The S&P 500 fell 39 points, or 1.6 percent, to 2,467. The Dow lost 464 points, or 2 percent, to 22,859. The Nasdaq fell 108 points, or 1.6 percent, to 6,528. Stocks are plunging again on Wall Street, chopping another 600 points off the Dow Jones Industrial average, bringing its losses since Friday to more than 1,900 points. Technology stocks, longtime market favorites, have taken particularly hard hits over the last few days of selling and were sharply lower again Thursday. The technology-heavy Nasdaq composite index is now down 20 percent from the peak it reached in August. After steady gains through the spring and summer, stocks have fallen sharply in the fall as investors worry that global economic growth is cooling off and that the U.S. could be headed for a recession in the next few years. The S&P 500 fell 61 points, or 2.4 percent, to 2,445. The Dow lost 638 points, or 2.7 percent, to 22,687. The Nasdaq fell 180 points, or 2.8 percent, to 6,452. Stock prices are falling further on Wall Street, a day after another big plunge rocked markets around the world. Major indexes fell more than 1 percent in midday trading Thursday, bringing their losses over the previous six days to about 6 percent. The benchmark S&P 500 index is now almost 16 percent below the peak it reached in late September. After steady gains through the spring and summer, stocks have slumped in the fall as investors worry that global economic growth is cooling off. Microsoft and Amazon each fell 3.4 percent. The S&P 500 fell 36 points, or 1.4 percent, to 2,471. The Dow Jones Industrial Average fell 379 points, or 1.6 percent, to 22,950. The Nasdaq fell 115 points, or 1.7 percent, to 6,524. Stocks are opening lower on Wall Street a day after the market took a big plunge. Health care companies and consumer products makers had some of the biggest losses in early trading Thursday. UnitedHealth Group, the largest health insurer in the country, fell 1.8 percent. Procter & Gamble lost 1.3 percent. Walgreens fell 2.8 percent and Conagra, a giant food maker, fell 7.4 percent. Both companies reported weaker sales than analysts were expecting. The S&P 500 index lost 14 points, or 0.6 percent, to 2,491. 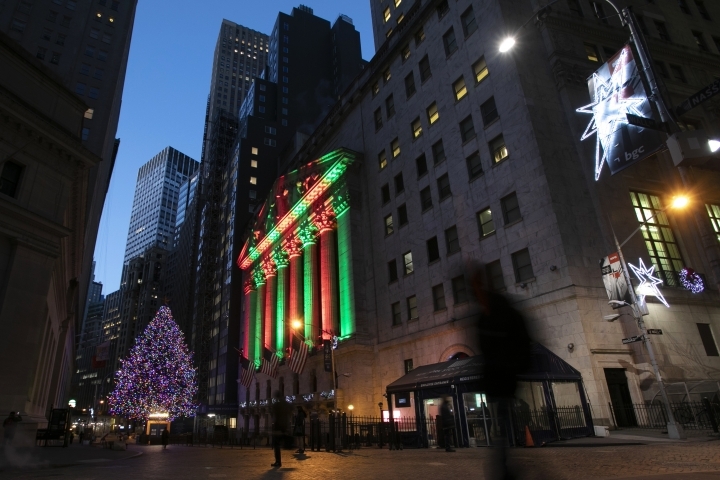 The Dow Jones Industrial Average fell 118 points, or 0.5 percent, to 23,191. The tech-heavy Nasdaq composite slipped 27 points, or 0.4 percent, to 6,611. Bond prices rose, sending yields lower. Donald Trump needs a place to reset the electoral map, and he seems to be looking at the industrial heartland states on the Great Lakes. Obserworld delivers the most accurate and up-to-date world news for the global audience with a thorough research and in-depth interviews. Discover the world through Obserworld. Copyright © 2015 - 2019 Observe World. All Rights Reserved.